Last October, I discussed a case in which the District of New Jersey issued an injunction which enforced ADP, LLC’s non-compete agreement with two of its former employees. Earlier this month, the Third Circuit Court of Appeals affirmed that ruling. Non-Compete Agreement in Online FormTerms Agreement ConceptADP claims that Jordan Lynch and John Halpin violated the non-compete agreements they entered into when they accepted stock awards from the company. Specifically, ADP provided the stock awards, its stock award plan and a non-compete agreement to Mr. Lynch and Mr. Halpin online. Before they could accept their stock awards, they had to check a box simply confirming they had read all three documents, although it did not explicitly state that they were agreeing to the terms of those documents. 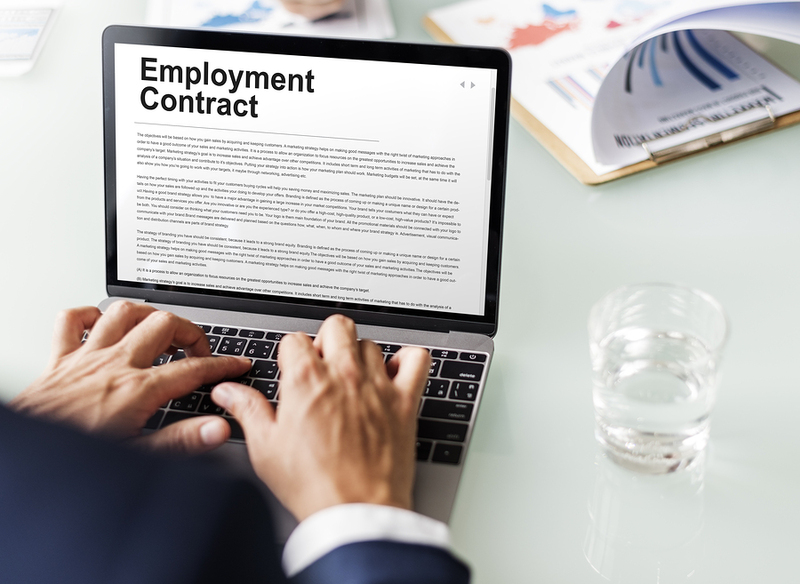 The non-compete agreement indicates that an employee cannot work for a competitor of ADP, or solicit business from any of its current and prospective clients, for 12 months after he stops working for the company. Nonetheless, when Mr. Lynch and Mr. Halpin left ADP they began working for one of its competitors, Ultimate Software. In its lawsuit, ADP sought to prohibit the two employees from working for Ultimate Software and from soliciting any of ADP’s clients. The District Court entered a preliminary injunction which prohibited them from soliciting ADP customers who they had learned about while they were working for ADP. However, it did not prohibit them from working for Ultimate Software. For information about the District Court’s ruling, please see my previous article: Court Prohibits Employees from Violating Non-Compete Agreement. Mr. Lynch and Mr. Halpin appealed to the Third Circuit. 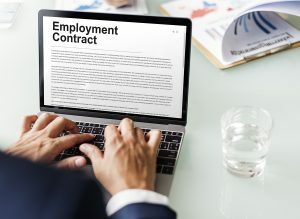 They argued that although they checked a box on ADP’s website which confirms they read several documents, including the non-compete agreement, they did not agree to be bound by the non-compete agreement. However, in ADP, LLC v. Lynch the Third Circuit rejected this argument. It explained that both employees acknowledged they had read ADP’s stock award plan, which expressly states that accepting a stock award is conditioned on agreeing to be bound by the non-compete agreement. The Third Circuit also rejected Mr. Lynch’s and Mr. Halpin’s argument that it was improper for the District Court to grant an injunction without holding a hearing. The Court explained that a hearing was unnecessary because the key facts were not disputed. Specifically, it found there was no dispute that Mr. Lynch and Mr. Halpin violated the non-compete agreement by working for one of ADP’s competitors in the same sales territory they had covered for ADP. It also found there was no dispute that they both accepted stock awards through ADP’s website. Further, while there may be a dispute about whether they solicited any of ADP’s clients, it agreed with the District Court’s finding that there “was an imminent risk of Defendants soliciting former ADP clients, if they have not done so already.” Accordingly, the Third Circuit concluded that it was not necessary for the District Court to hold a hearing. Finally, the Third Circuit rejected Mr. Lynch and Mr. Halpin’s argument that the injunction issued by the District Court was overly broad. It explained that although the lower court prohibited them from soliciting ADP’s current clients, it allowed them to solicit prospective clients of ADP who they did not learn about while they had worked for ADP. It further noted that the injunction would last for only one year, and allowed Mr. Lynch and Mr. Halpin to continue working for Ultimate Software even though it is a direct competitor of ADP, even though the non-compete agreement states that they cannot work for a competitor of ADP for 12 months after they stopped working for it.